Decorating Your Apartment on a Budget! 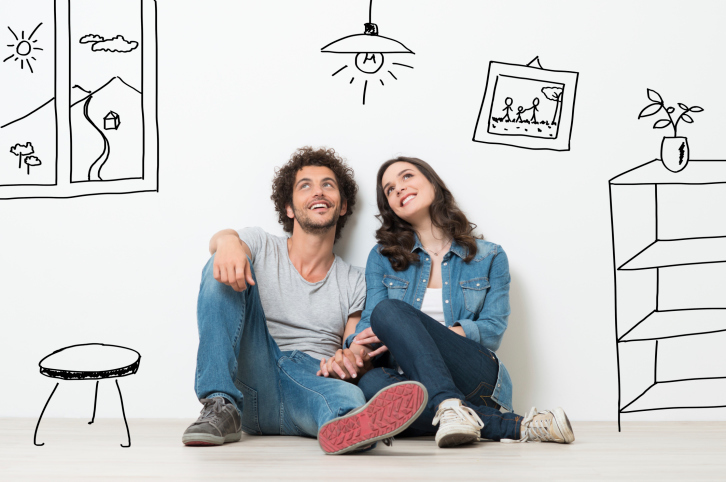 Here are some ways to save money while decorating your new apartment! So, you’ve just moved into your new apartment. Whether or not this is your first move, it is important to develop a checklist to adhere to. The very first thing to do is unpack the most essential items from your boxes. Necessities like toilet paper, soap, paper towels, basic kitchen supplies, and bedding items are typically the first things people unpack. If you want to begin unpacking everything else, that’s fine, but it doesn’t necessarily have to be done right away. As long as the essentials are out, you have some time to take care of the other important tasks on your list, the main task being decorating your new apartment. This can be tricky if you don’t have the finances, which can understandably be the case after such an investment. Luckily there are many cost-effective ways to decorate your apartment on a budget. Use your imagination: Some may see certain items for a singular purpose, but everything can be multi-functional if you think creatively. For example, a fashionable suitcase or trunk can make for a great coffee tables, and a spare chair can stand in for a bedside table. It also allows for your own spin on things and can keep your imaginative juices flowing. Wicker can be understated: Wicker furnishings that look as if they belong outdoors changes the mood of any room. Put chairs in a sunny corner of their own or mix them with your upholstered pieces- not only an inexpensive option, but also a more unique look. DIY upholstery: Whether you’ve received hand me downs from relatives and friends, or found furniture and cabinets from sources such as yard sales or craigslist, why not put your own twist on these items? It can provide an outlet after the stress of moving and allow you to decorate as you wish, all that can be needed for this is some creative ideas and a lick of paint. Moving apartments can make us stressed, less organized, exhausted, and just plain cranky. Plan ahead as much as possible, give yourself time to prepare and pack! Start early and do what you can in spurts so it’s not one big undertaking on moving day. And just take a moment to breathe! Though stressful at the time, it’s the beginning of a new chapter in your life. This entry was posted on Tuesday, July 18th, 2017	at 7:00 pm	. Both comments and pings are currently closed.